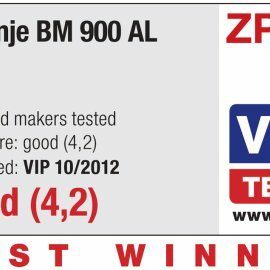 Gorenje's BM 900 AL came out on top on the VIP test of Slovenian Consumers Association (SCA) that tested 10 bread makers by different manufacturers. The winning machine received a high score of 4.2 (out of 5.0) and SCA recommended buy status. 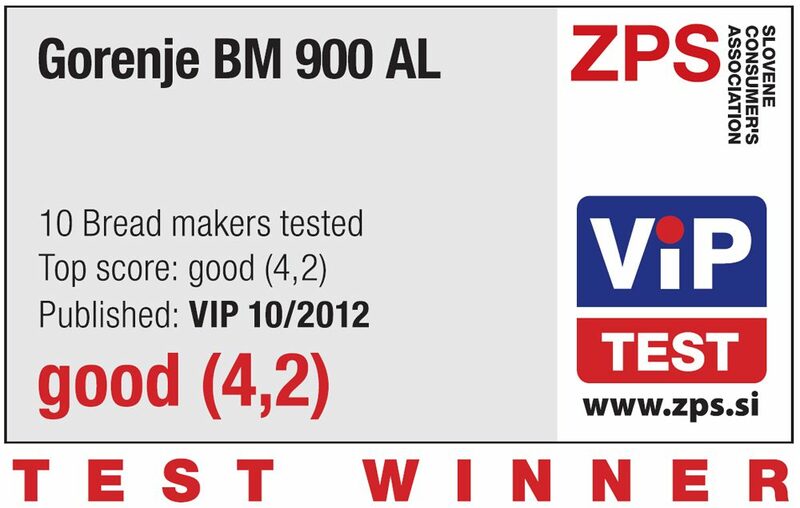 Gorenje's BM 900 AL bread maker was awarded particularly high scores for the baking process. In all tests, the dough could be easily separated from the wall and kneading hooks, and preparation times for each program were the shortest among the all entries. The Gorenje bread maker came out on top in terms of bread appearance, weight, size, and tenderness and texture of the crumb on cross section. The jury also praised the simple controls and appearance of the appliance. Award-winning Gorenje BM 900 AL bread maker allows delaying the start of the baking process by up to 13 hours. This means you can wake up to the smell of freshly baked bread. The BM 900 AL will suit complete beginners and seasoned bakers alike as it offers 12 recipes with preset kneading, rising, and baking procedures. Each program includes an accurately planned succession of tasks and functions, and their respective durations. If you prefer taking decisions into your hands, you can fully adjust the baking program to suit your wishes and needs. You can come up with your own recipe for your favourite bread and use the appliance to bake it just the way you like it. The bread maker allows selecting the level of crust, as well as the form of your loaf as you can choose from two removable baking tins with a non-stick coating. 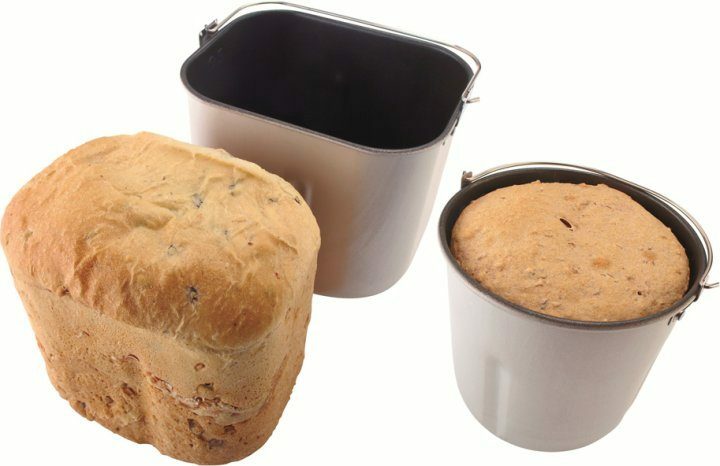 Gorenje BM 900 AL bread maker allows baking bread in two different removable baking tins to form an oblong or round loaf. Both are coated with a non-stick layer.